The Thermaltake Toughpower Series is a premium line of PSUs certified to the 80 PLUS Gold standard. Incorporating components of the high quality, it delivers stable performance and Gold rated efficiency. 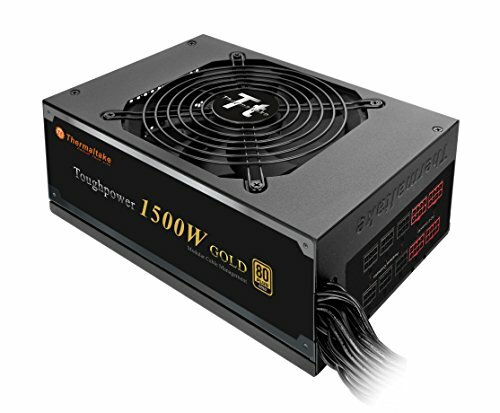 TPD 1500W Gold, which uses a semi-modular design, ultra-quiet fan, strong single 12V rail with all flat, all black, cable routing for a professional look to support your system today and tomorrow. Cooling System : ultra quiet 135mm double ball-bearing fan, 1700±10%R.P.M.